As ever, welcome, dear readers. 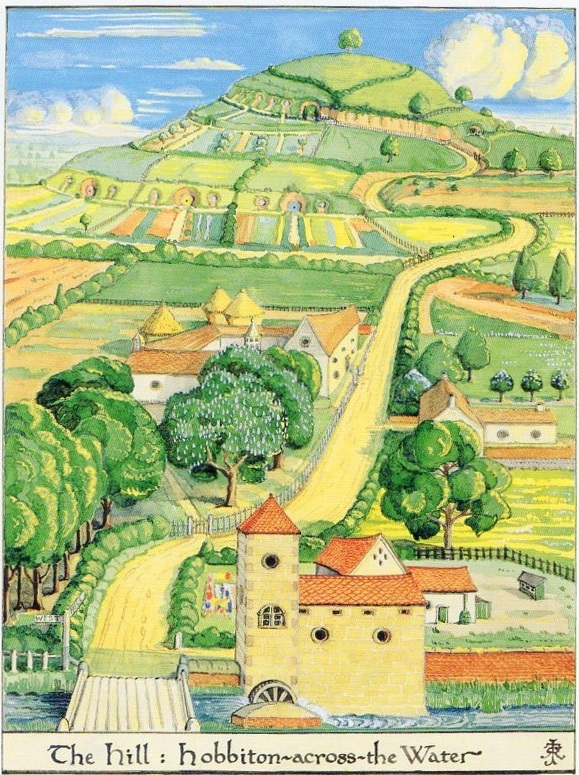 Some time ago, we did a posting on The Return of the King, Book Six, Chapter 8, “The Scouring of the Shire”. 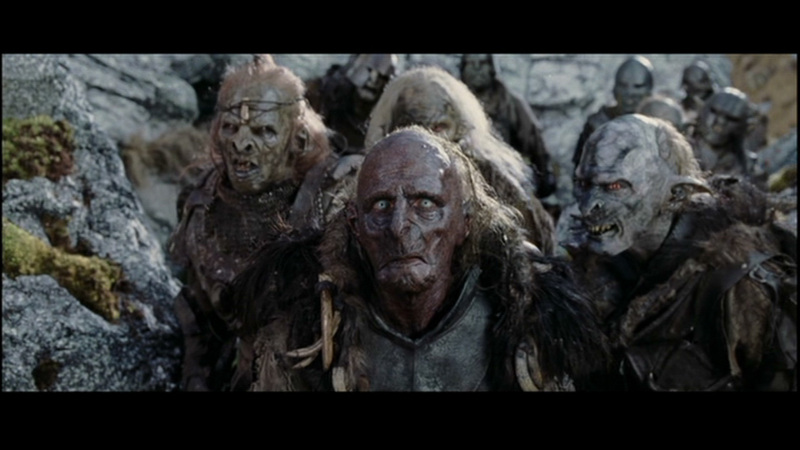 and the importance of the chapter to closure in The Lord of the Rings. 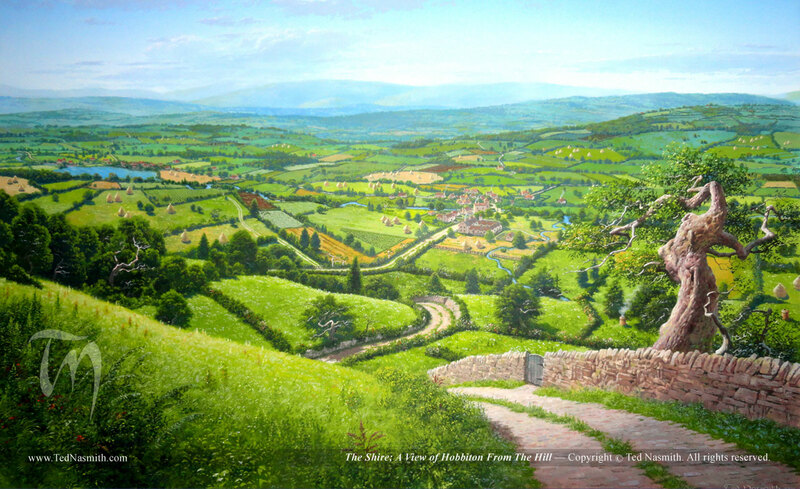 In this posting, we want to look at it from another direction and to view Sharkey’s Shire as a kind of proto-fascist state. was the first of these who actually succeeded in coming to power. 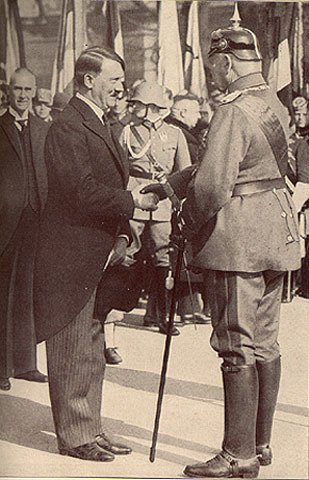 In Italy, in 1922, he organized a march on the capital, Rome, which would lead to his becoming the head of state (although Italy remained a monarchy, the monarch, Vittorio Immanuele III, was brought out for state occasions only). 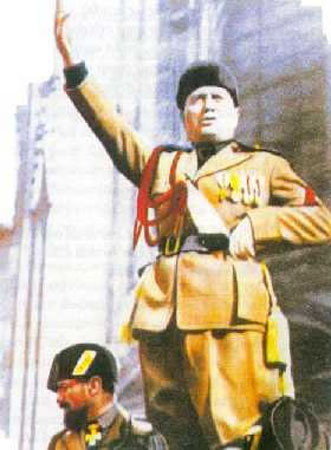 Mussolini, to make his power look like a natural historical progression, began using ancient Roman symbols. 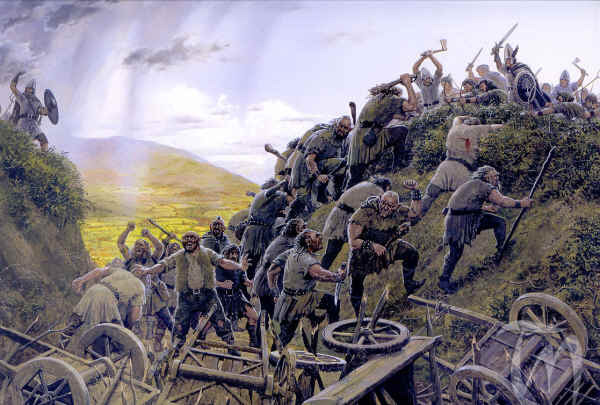 One of these was the mark of the escorts to Roman magistrates, the fascis, a bundle of birch rods with an axe in the middle, the sign that a magistrate had the power to inflict not only corporal punishment—the rods—but even death—the axe—on citizens. This bundle was carried by a lictor, a minor officer of state. The number of these lictors who marched in front of the magistrate signaled just how important the magistrate was. To emphasize this connection with the imperial past, he went so far as to impress the old initials of ancient Rome, SPQR (Senatus Populusque Romanus—“the Roman Senate and People”) on everything public in sight—even manhole covers (they’re still there to this day). And his use of the symbol of the fascis was the basis of the term fascism—they’re even all around his tomb. 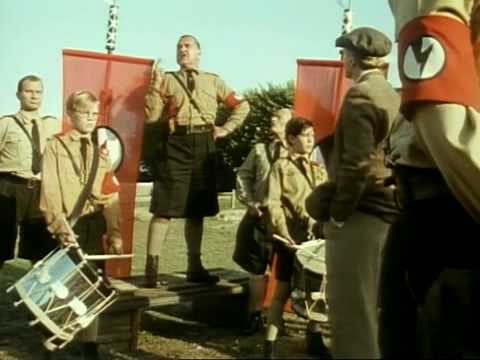 whose original goon/enforcers were the SA—Sturm Abteilung (“Storm Detachment”) or “Brownshirts”. 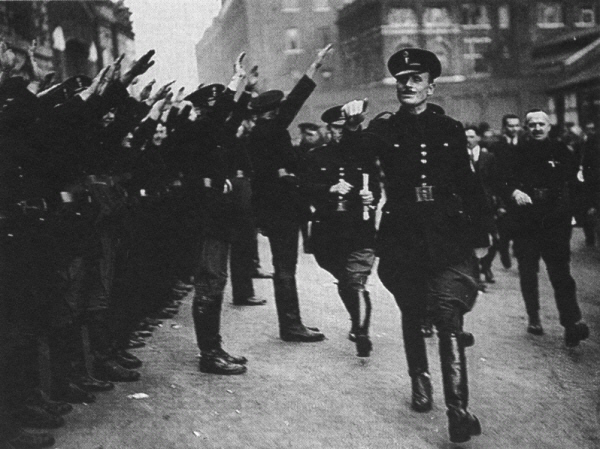 In England, Tolkien would have been well aware of Sir Oswald Mosley and his British Union of Fascists. even down to his pathetic followers, the “Black Shorts”. 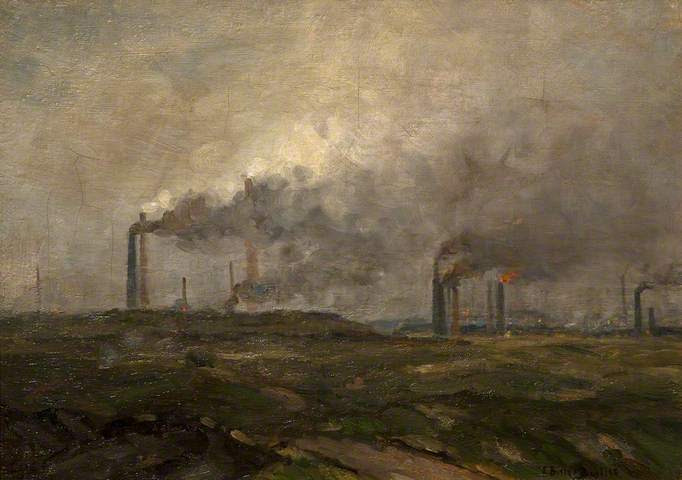 links that political movement to the despoliation of the old natural world by the Industrial Revolution. And the most important element in that purpose is “Order”. It’s no wonder that Saruman is murdered. Have you ever wondered what Middle Earth would have been like if the Fourth Age had begun on a calendar written by Sauron? Yet, after Smaug—who could better be a medieval fantasy villain (especially with the voice of the incomparable Benedict Cumberbatch attached)? to Mehmed VI, last Sultan of the Ottoman Empire. In place of the former, there appeared the always-troubled Weimar Republic, full of good intentions, but badly crippled, not only by the war which had sapped its manpower and resources, but by all kinds of social unrest and then by the Crash of 1929, which notoriously destroyed the value of its currency. 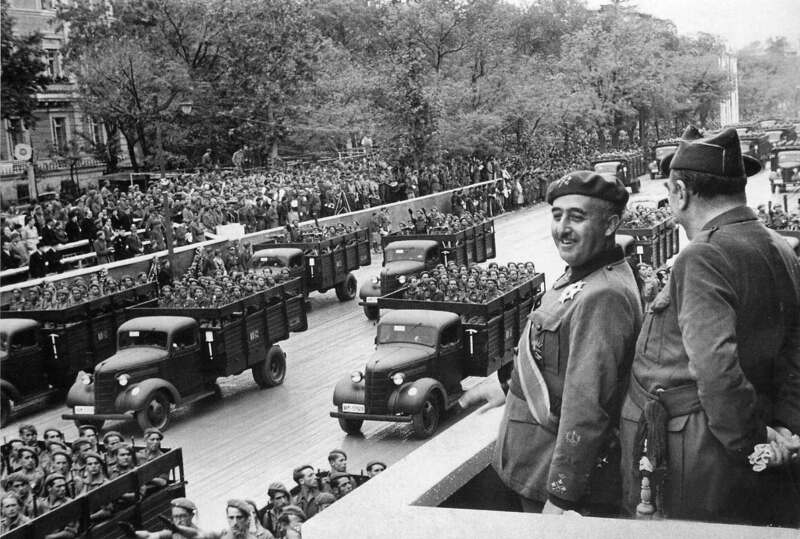 And, amidst all of the unrest, there was a failed coup attempt in 1923 by the man in the overcoat in this picture. to be followed, in turn, by the man on the left, from the mid-1920s. 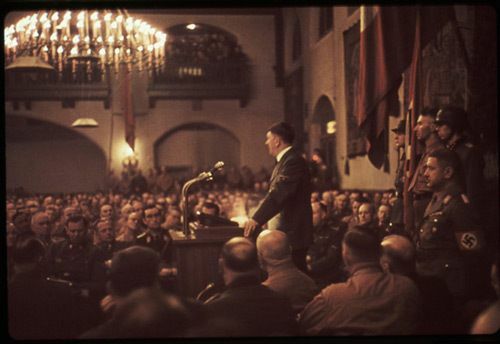 That first man, having failed at obvious violence, tried again through more complicated means (although still employing violence, if it suited his purposes) and succeeded in 1933. He was, so we are told, a riveting public speaker, but, if the newsreels we’ve seen are evidence, we guess you would have had to have been there. Some people thought the style exaggerated in the 1930s and caricatured it even then. It would have been impossible for someone as intelligent and generally well-informed as Tolkien not to have been very much aware of this man and all of the other like men, busy oppressing as much of the world as they could. And this would have been especially true in a time when radio and film were changing how people received news—and how those interested in influencing others might shape what people saw. As early as 1911, the British government was using newsreel film to show the might and reach of its empire (2/5 of the globe was in their hands) when the king, George V, and his wife, Queen Mary, visited India. Not to be outdone, Kaiser Wilhelm II encouraged a grand—and filmed–event in 1913, for the wedding of his daughter, Victoria Louise—and some of the film was even in color. In keeping with the influence of current events in this world, we might see this as being a parallel with the 1919 Versailles Treaty, in which Germany was to be forced to make huge territorial concessions, to disarm almost entirely, and to pay massive amounts in reparation to the victorious allies. Such terms as Sauron offers would also destroy Rohan as an ally and set up a permanent garrison between it and the north. We might also expect the restored Isengard to be a staging area for an assault upon Fangorn and the ents, to their ultimate destruction. As well, “west of the Anduin” is a very vague expression—does it include Gondor, as well as Rohan? Could we imagine that, in this other Fourth Age, a new and horrible religion might have appeared, one dedicated to the worship of Sauron—and to that Knowledge which Saruman finds so important? What do you think, dear readers? We’ve discussed the nearly-invisible Sauron in an earlier posting, but now we’d like to think out loud about the all-too-visible Saruman. And, as we’ve just heard that we’ve lost our own Saruman, Christopher Lee, we would like to dedicate it to his memory. 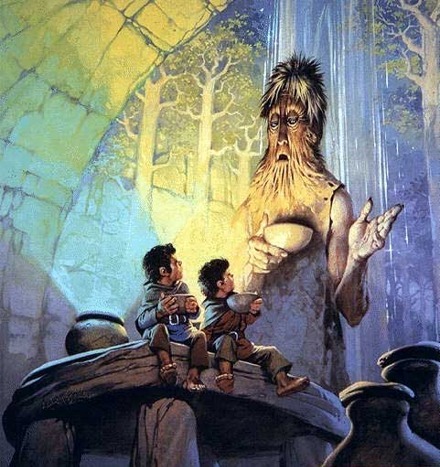 Pippin and Merry have been filling Fangorn in about all of their adventures up to the moment when he found them in his forest. At that moment, everything comes together for the Ent. 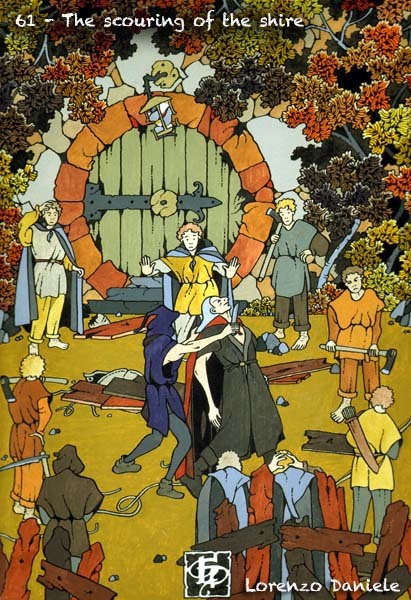 If we pause for a moment and consider the era in which this was written, we might catch a glimpse of something from the history of our world in this, something from the period beginning in 1922 and extending at least through 1945, when Tolkien was beginning to write The Lord of the Rings. JRRT always denied that his work was allegorical, although, sophisticated man that he was, he was well aware that the world around him would impinge upon his consciousness. Thus, when we see numerous sinister figures rising in power in our world, it would be difficult to imagine that they might not, even if only very distantly, exert some small influence on his work. 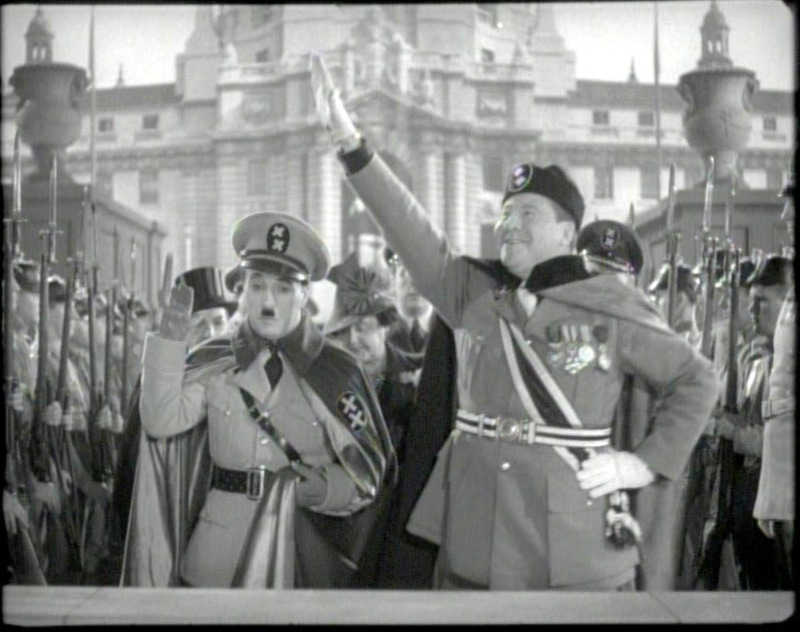 and the most menacing of all, Mussolini and Hitler. finally reached the ultimate position of authority in 1933. 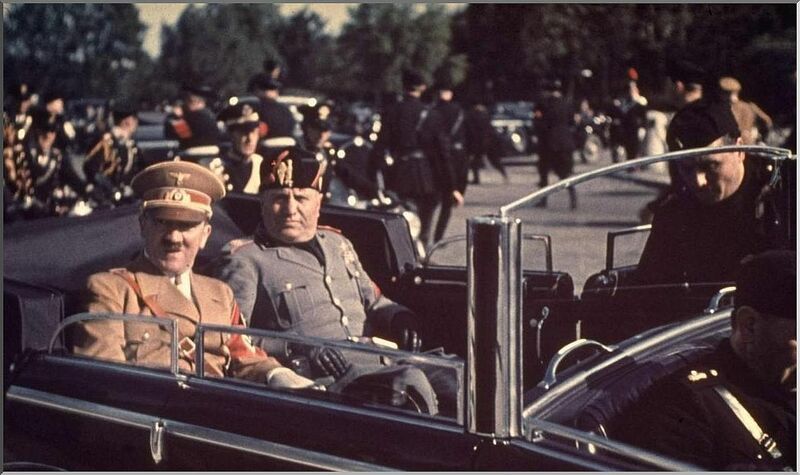 Although Hitler was a relative late-comer in comparison with Mussolini, it seems that Mussolini looked up to Hitler, even taking German lessons (although there is no mention of Hitler reciprocating) so that they could talk more easily (and, doubtless, securely). 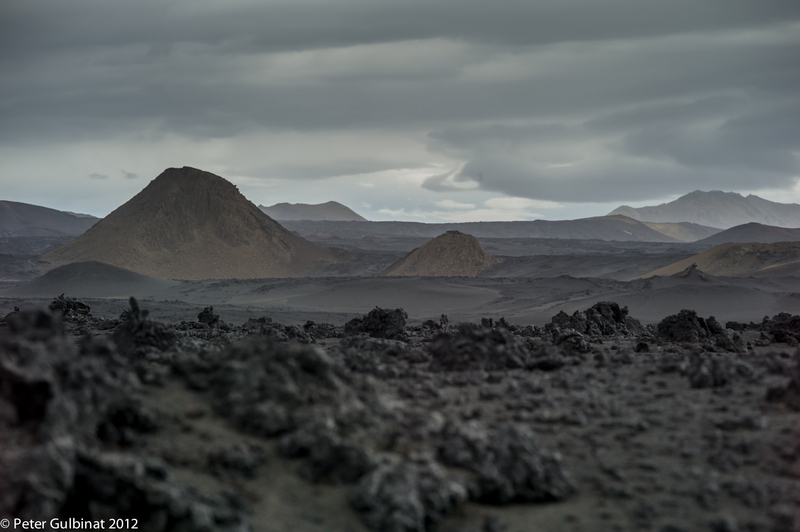 and turns it into a mini-Mordor. 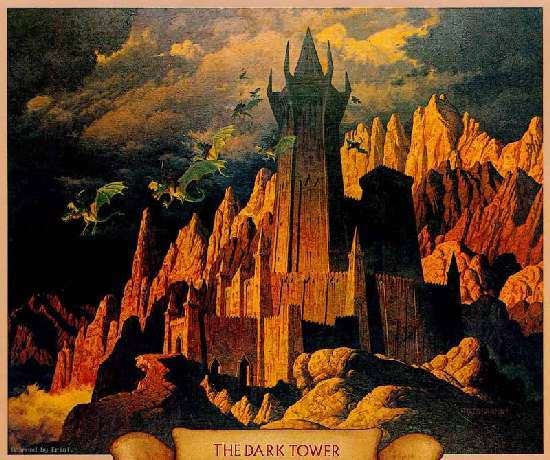 and it appears that Saruman will remain within the tower, but we know that he slips away, taking the former counselor of Theoden, Grima, with him. Or, at least, that’s what Tolkien intended. Unfortunately, the makers of The Lord of the Rings films simply dropped this theme here, with the deaths both of Saruman and Grima on Orthanc. 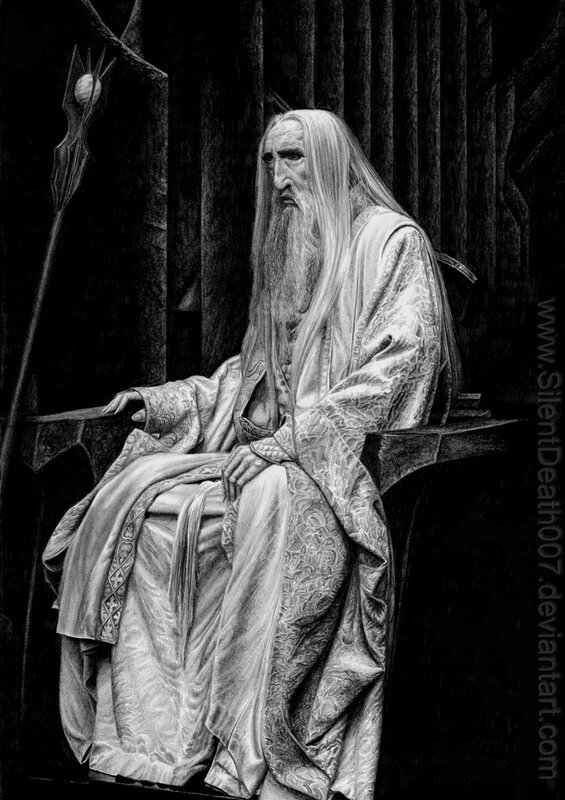 We say unfortunately because, although we have portrayed Saruman as a wanna-be Sauron (even to the point of thinking that he might gain control of the Ring), which is certainly one of his roles, his is a greater role as he was once a greater figure. 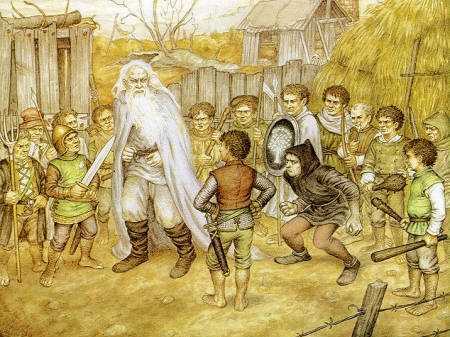 He is the eldest of the Maiar in Middle Earth, those spirits whom Tolkien once described as “near equivalent in the mode of these tales of Angels, guardian Angels”, LTR 159. That he can be corrupted by Sauron (as Sauron himself had been corrupted by Morgoth), shows just how great Sauron’s power (and the lure of the Ring) really is. 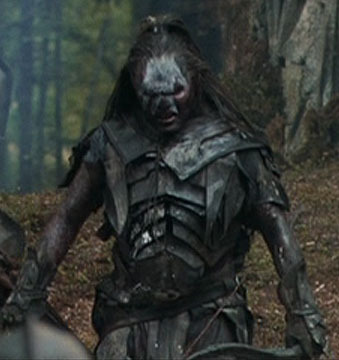 As well, in his fall, we see that that corruption, like Sauron’s, is complete. Offered the chance to return to the good, he spurns it and slips away—but not out of the story, and it’s here that we feel that the writers of the films missed a great opportunity. 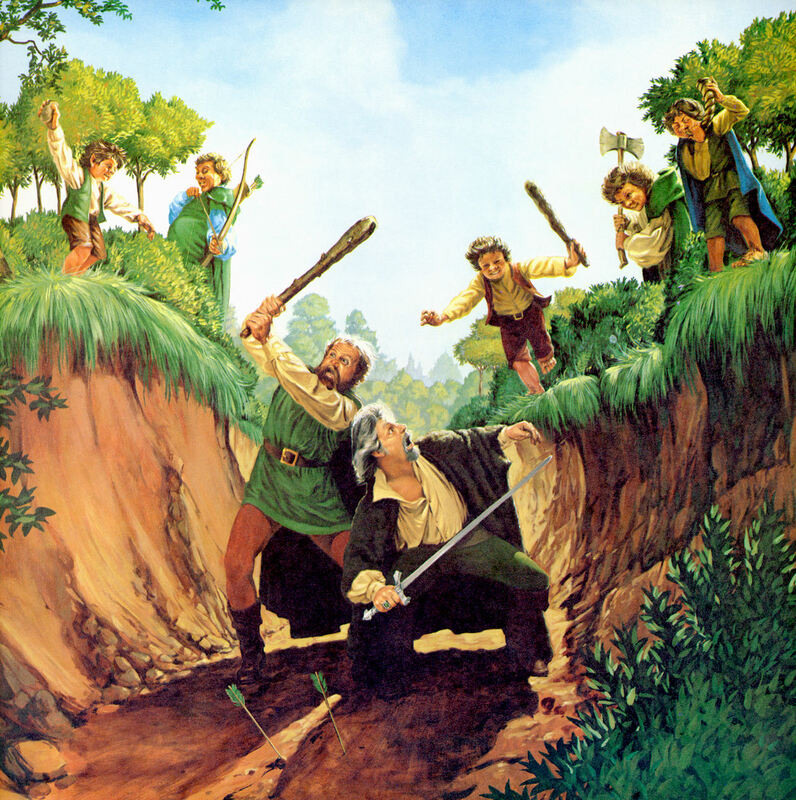 In what might, at first, seem like an act of petty revenge, Saruman goes to the Shire, that green and so-far-safe land far west of all of evil of Middle Earth,. 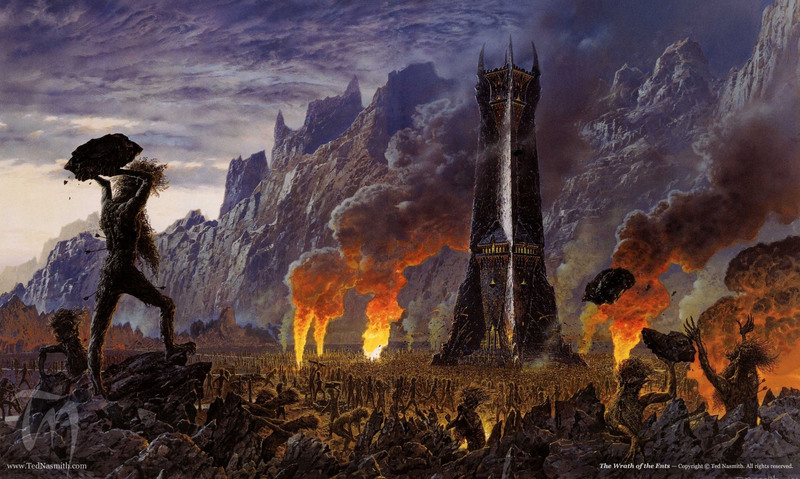 So, just as at Isengard, trees must go, if only to feed his industrial plans. 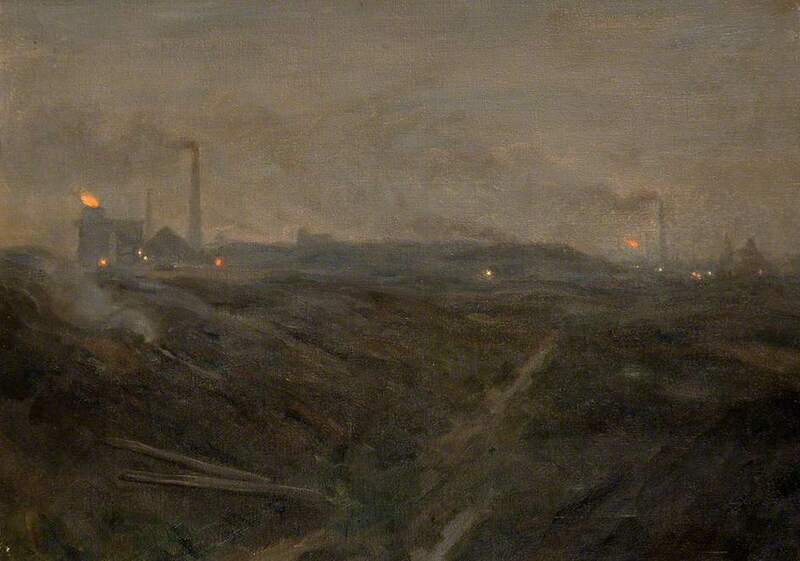 When we think of Saruman’s ultimate vision for the Shire, we imagine that it would look like the work of Edwin Butler Bayliss (1874-1950) who painted the industrial landscapes of England’s West Midlands, the “Black Country”, an area Tolkien himself thought of as his home region. The end comes quickly, however, when the Hobbits return and we see, in “The Scouring of the Shire”, on the one hand, the new maturity of Merry and Pippin, and, on the other, the deep humanity of Frodo. Although the withered remains are then described, they seem unnecessary. That was only the borrowed flesh. The tragedy lies in that wavering look, the bending away, the sigh. 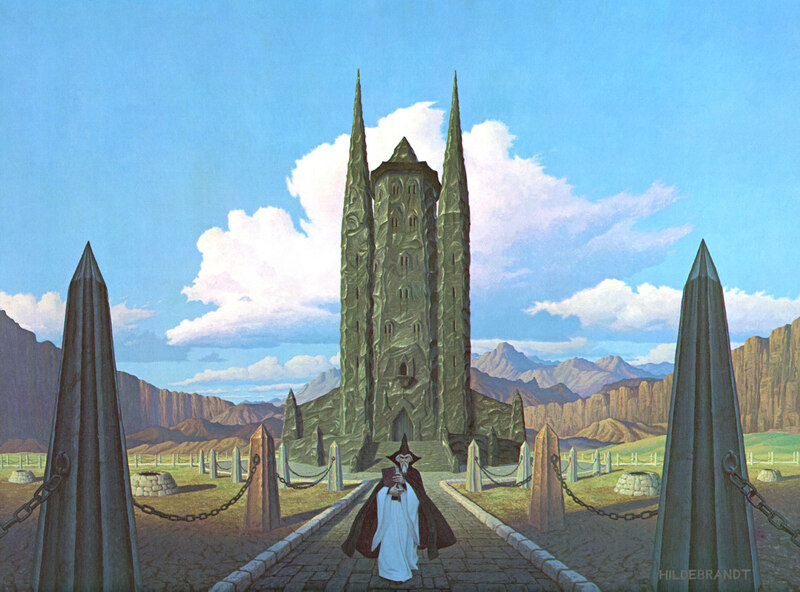 In the final chapter, “The Grey Havens”, we see Gandalf departing towards that very West which was denied to Saruman and here we see, as well, what it was that the spirit of Saruman had lost: the reward of being allowed, at last, to return home, to go back towards Valinor. Instead, the Valar have rejected one of their own and, though his spirit may not have been destroyed, something seems to have left him forever. By leaving the final chapters out of the film, then, the script writers lost the chance not only to show us Merry and Pippin, at the end of their long adventure, grown into figures to rival the Old Took, both in deeds and in stature. 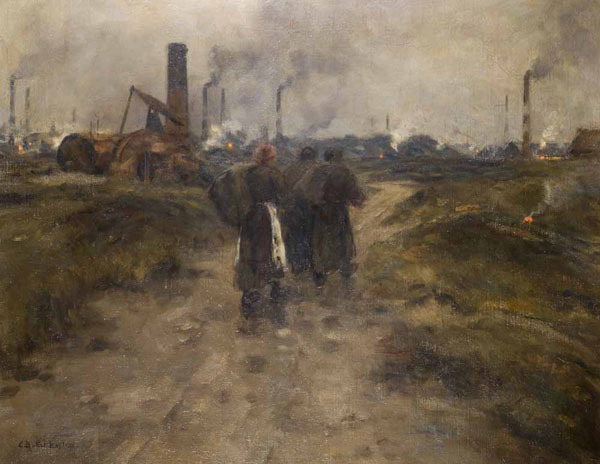 As well, they denied us the potential contrast with the end of such figures as Hitler—a suicide—and Mussolini—executed by his own people, and that of Saruman the White, murdered by his own follower and, at the end, nothing but sadness and grey smoke. Thanks, as always, for reading. And thank you, Christopher Lee, for acting.